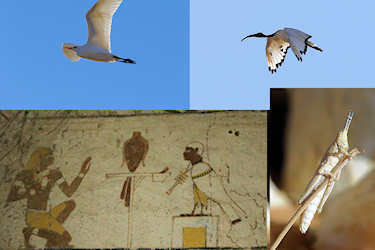 By the eighth millennium BC, people of a Neolithic culture had settled into a sedentary way of life there in fortified mud-brick villages, where they supplemented hunting and fishing on the Nile with grain gathering and cattle herding. During the fifth millennium BC migrations from the drying Sahara brought new neolithic people into the Nile Valley along with agriculture. The population that resulted from this cultural and genetic mixing developed social hierarchy over the next centuries become the Kingdom of Kush (with the capital at Kerma) at 1700 BC. Meroë was the southern capital of the Napata/Meroitic Kingdom, that spanned the period c. 800 BC — c. 350 AD. The base of this flourishing kingdom was due to a strong iron industry, and international trade involving India and China. The Kingdom began to fade as a power by the 1st or 2nd century AD, sapped by the war with the Roman province of Egypt and the decline of its traditional industries. Christianity began to gain over the old phaoronic religion and by the mid-sixth century AD the Kingdom was dissolved. Nubia was divided into three kingdoms; Nobatia, extending from the First to the Third Cataracts, with its capital at Faras; Makuria from the Third to the Sixth Cataracts, centered on Old Dongola and Alwa, streching to the borders with Axum with its capital at Soba on the Blue Nile. The rise of the Mamaluks in Egypt in the 13th century marked the end for Nubia's Christian kings. Over a period of 200 years they sent a series of military expeditions into an increasing weak and fragmented Nubia. In the 1890s, the British sought to re-establish their control over Sudan, once more officially in the name of the Egyptian Khedive, but in actuality treating the country as a British colony. From 1924 until independence in 1956, the British had a policy of running Sudan as two essentially separate territories, the north (Muslim) and south (Christian). 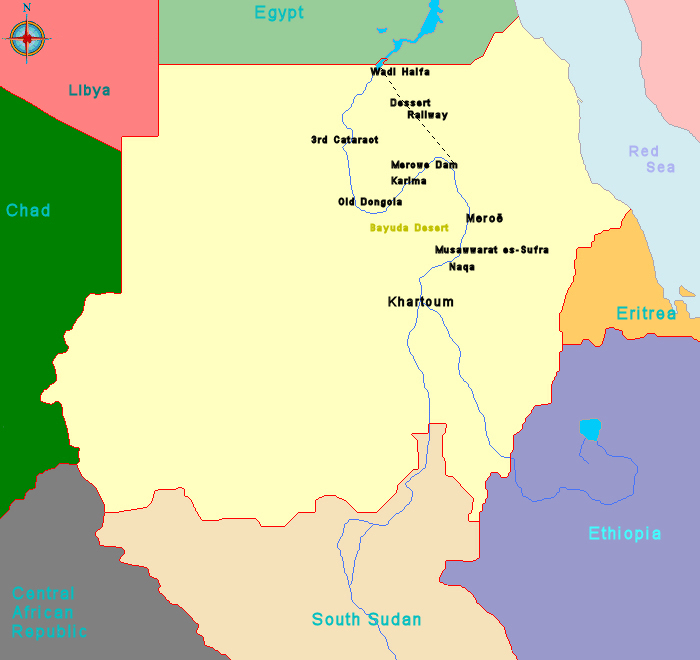 The First Sudanese Civil War was a conflict from 1955 to 1972 between the northern part of Sudan and the southern Sudan region that demanded representation and more regional autonomy. Half a million people died over the 17 years of war. However, the agreement that ended the First Sudanese Civil War's fighting in 1972 failed to completely dispel the tensions that had originally caused it, leading to a reigniting of the north-south conflict during the Second Sudanese Civil War, which lasted from 1983 to 2005. The period between 1955 and 2005 is thus sometimes considered to be a single conflict with an eleven-year ceasefire that separates two violent phases. 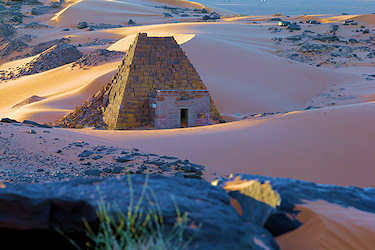 An undisturbed sunset at the Pyramids of Meroë. Furtermore i made a page with a backgrond off the Nubia Gods. See my "Special-pages" for more information.